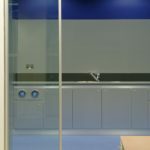 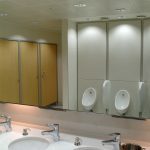 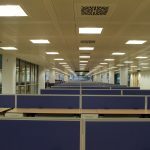 The project consisted of the refurbishment of 11,000m2 of prime office space at Broadgate in the heart of the square mile. 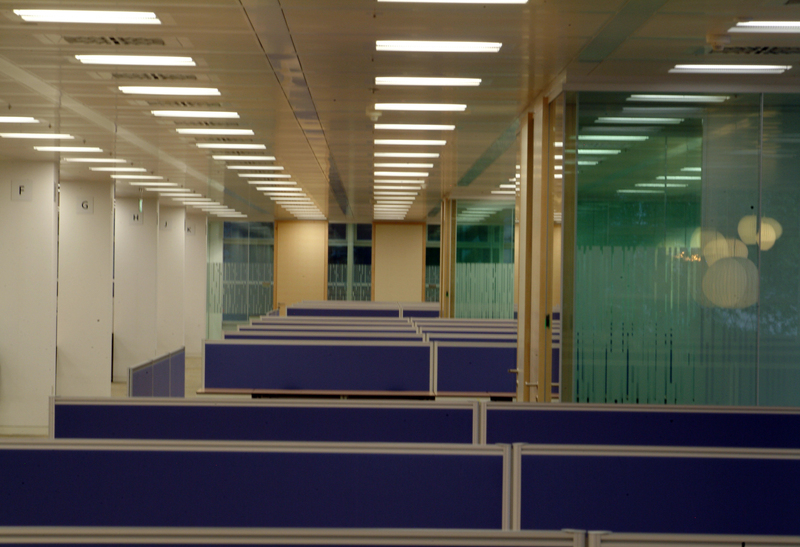 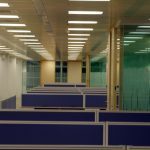 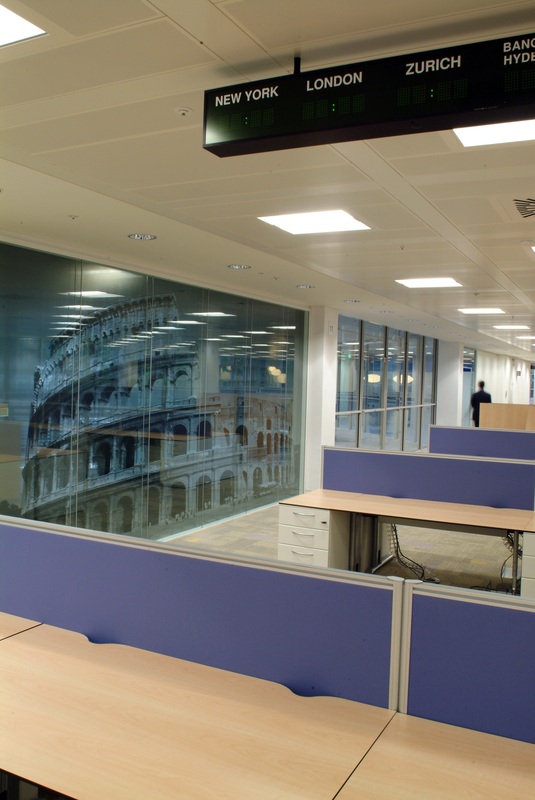 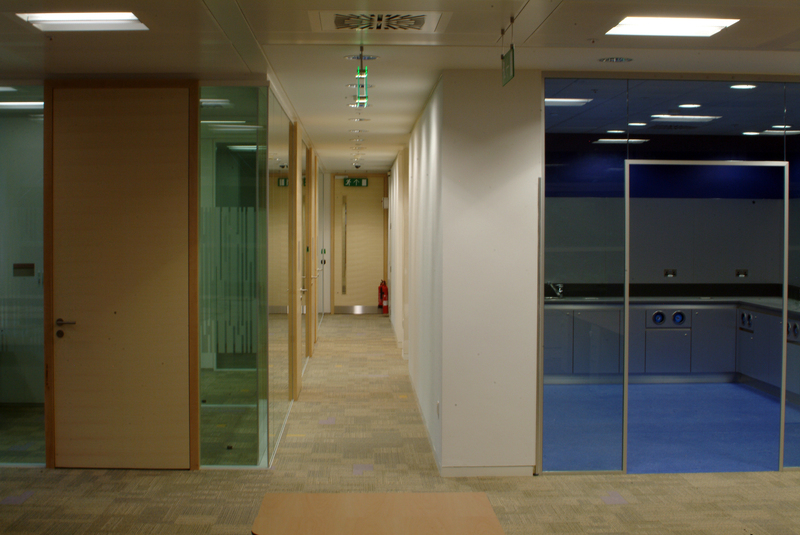 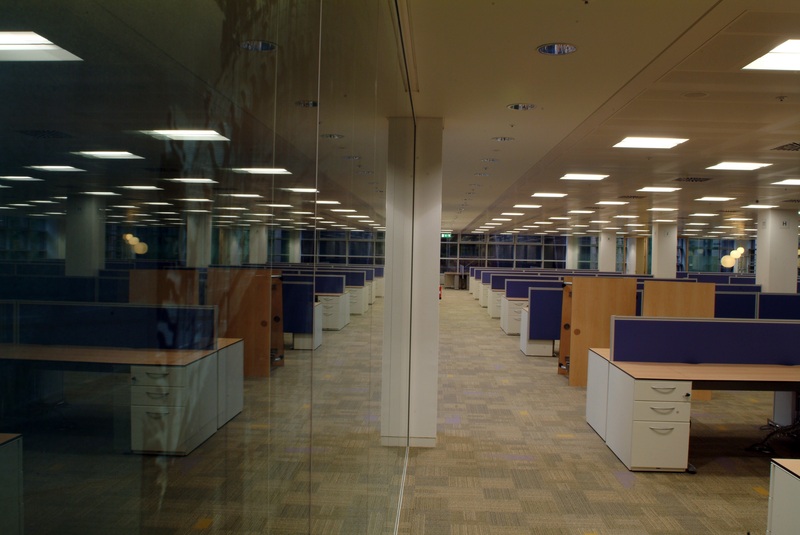 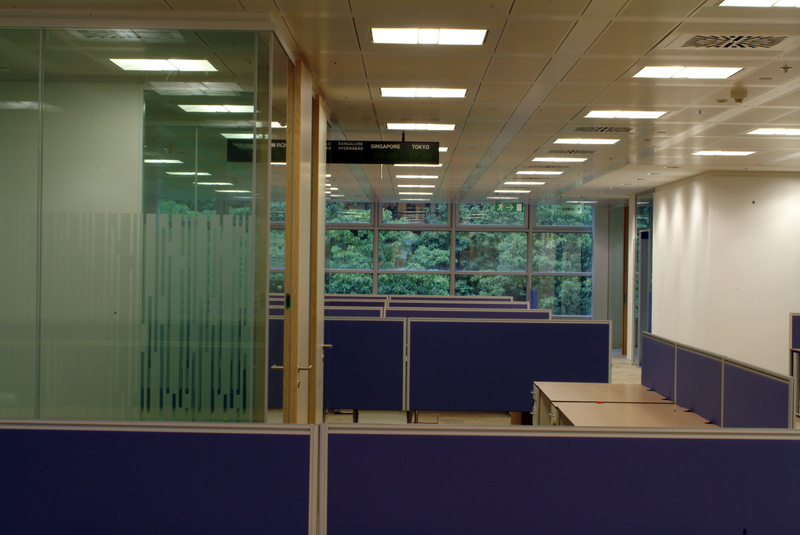 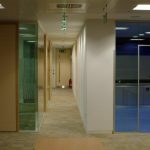 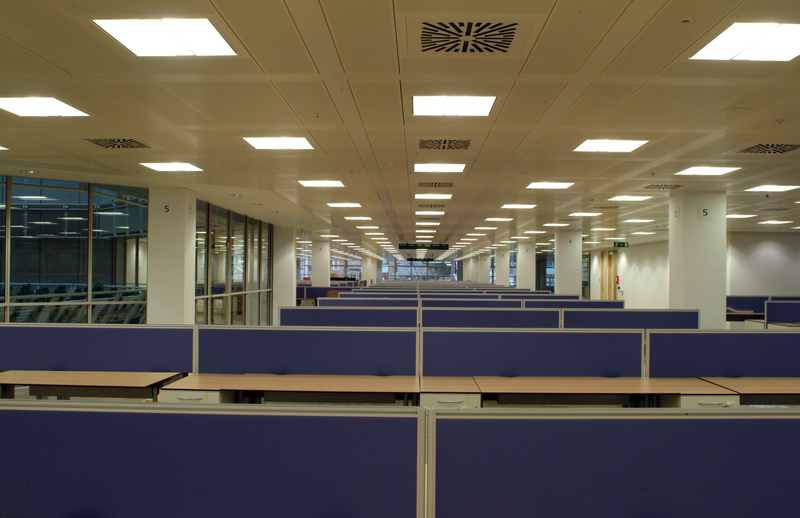 The refurbishment of floors Ground, 1st, 2nd and 3rd at 1 Broadgate consisted of the installation of SAS System 330 Mock Tartan Grid Ceiling system to all the office floors including all integrated services. 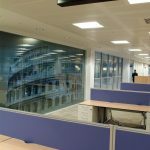 The design scope set out by TTSP Architects was quite clear. 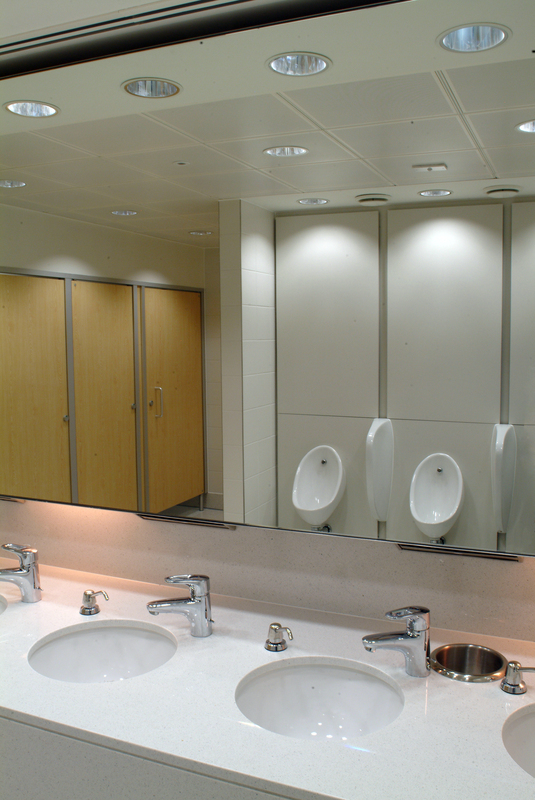 The whole ceiling system was to be bespoke without any cuts to any area. 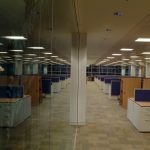 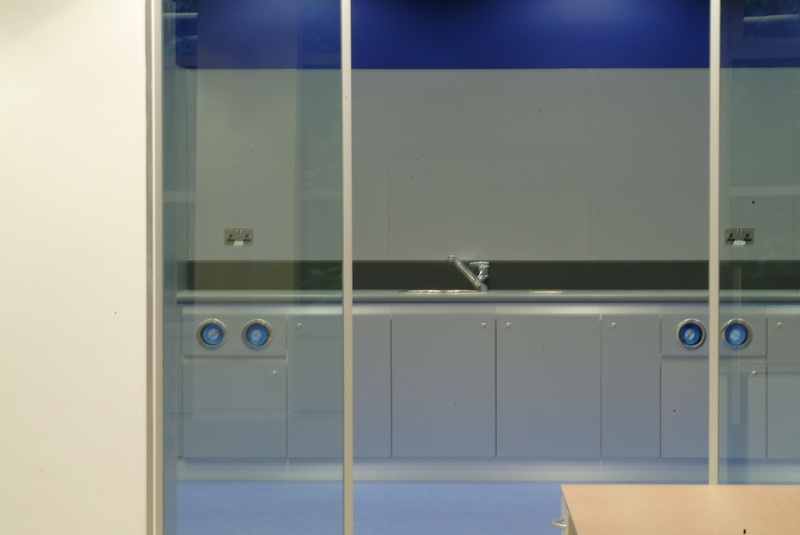 We were employed to undertake all the design work on the ceilings and had to produce working co-ordinated RCP’s for the project, all suspended ceiling junction details, all SAS component manufacturing drawings and ‘as-built’ drawings. 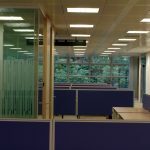 The atrium areas and raking corners of the building meant that there were a number of specialist ceiling components including triangular tiles, trapezoidal tiles and raking end C profiles and noggins.